Almost all the computers in two of the VA's initial installation sites for its new electronic health record system are incompatible with the software. These 5-year-old computers must be replaced, according John Short, chief technology integration officer at the Veterans Affairs Department's Office of Electronic Health Record Modernization, who testified before the House Veterans' Affairs Committee's Technology Modernization Subcommittee Wednesday. The two sites, in Seattle and Spokane, will also require infrastructure upgrades that will "involve digging trenches and ripping out walls," said Rep. Jim Banks (R-Ind. ), who chairs the subcommittee. To meet infrastructure and technology needs at the site, the Office of Electronic Health Record Modernization is working with the Office of Information and Technology to make use of their existing contracts. That way, there won't be "additional administrative overhead," Short said. Interoperability is another issue, especially when it comes to the VA sharing information with community providers. But technology won't be a limitation, according to John Windom, executive director of the health record modernization office. "We've got the technology piece solved," he said, pointing to health information exchanges CommonWell Health Alliance and Carequality as part of the solution that will "allow seamless transfer of information." To help ensure that transfer is indeed seamless, Cerner has established a team from 24 businesses to help with the project. 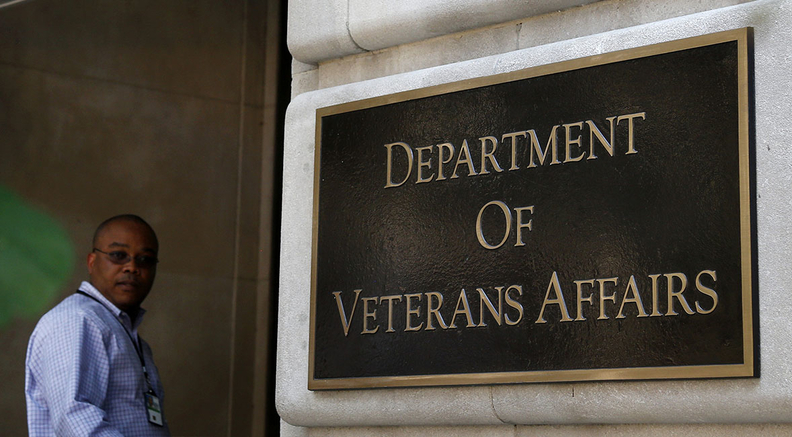 People from the businesses, which include Leidos—the contractor for the Defense Department's Cerner EHR—and others, will lend their knowledge to the VA effort. The computer problem and associated infrastructure needs are just one of several hiccups the VA has already run into as its begins to put in place a Cerner EHR. The budget is another: The initial contract with Cerner was estimated at $10 billion, but cost estimates have since increased and now stand at $16.1 billion. That's in part because the VA had not included the estimated cost of VA government employees, Windom said. "This is a moving target," he said. "It's an extremely dynamic environment, and we hope that efficiencies are gained." The Office of Electronic Health Record Modernization is one source of those efficiencies, he said. The office was at first budgeted for 700 people, but it currently stands at just 269. The VA can also gain efficiencies by working with the Defense Department, which is currently working to replace its EHR with a Cerner system. From the get-go, the VA gains efficiencies in cybersecurity, system data architecture and joint patient identity management, Windom said. Despite these reassurances, members of the House subcommittee were still skeptical that costs would remain under control. It's curious, Banks said, that spending so far has been below the estimate, but the overall cost estimate has been "going in the wrong direction, with fuzzy explanations as to why."